Our plans for the regeneration of a major site in Whitechapel for L&Q have now been submitted to LB Tower Hamlets. 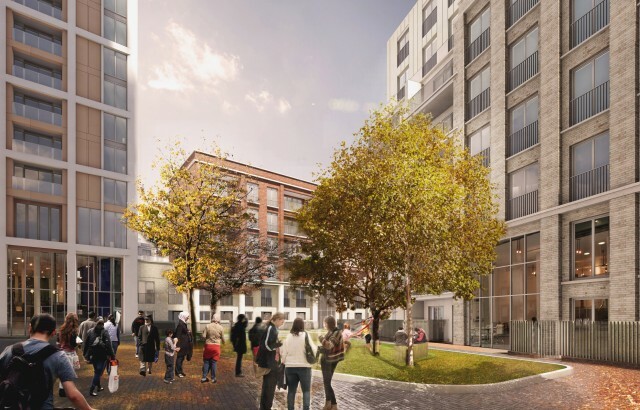 Under these proposals, the 1.4 ha light industrial site on the City fringe will be transformed to provide 609 new homes, 3,000m² commercial space and extensive public realm improvements. The scheme aims to bridge the gap between the variable surrounding scales and offer complementary land uses compared to the existing facilities. New north-south and east-west connections run through the site, with various public areas and active street frontages with commercial space at ground level and residential accommodation above. A 25-storey tower is embedded at the heart of the site to act as a marker building, with lower blocks around the perimeter to integrate the scheme into the existing neighbourhood. Whitechapel Central is a key element within the wider Whitechapel Masterplan, which is currently being established to guide development in light of Crossrail’s arrival in 2017 and to stimulate regeneration in this part of east London. 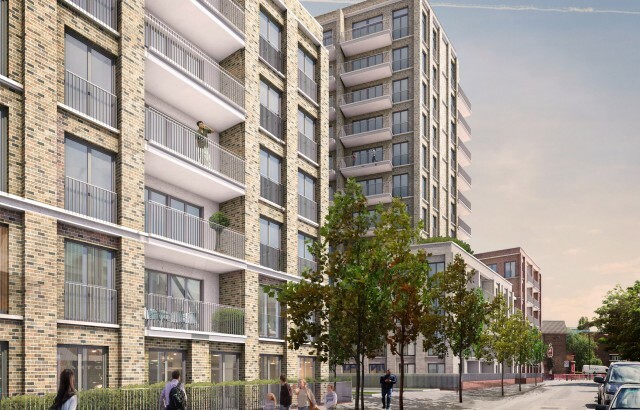 Our proposals apply the principles of this overarching strategy by providing high quality residential and commercial accommodation with improved connectivity and public realm amenity space.